An increasing number of people are choosing to use cosmetic injectables to enhance their facial appearance. These treatments are non-invasive and are ideal for anyone wishing to subtly improve their looks without undergoing the knife. Treatments include dermal fillers and muscle relaxing injections. These can help to reduce the appearance of fine lines and may fill out deeper seated folds and wrinkles. They can help refresh your looks, giving you a healthy and well-rested appearance. Why Use Muscle Relaxing Injections? 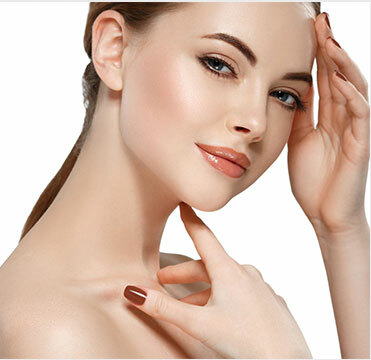 Muscle relaxing injections are often ideal for smoothing out fine lines that have recently appeared, for instance around your eyes or forehead. The relaxant is applied using very fine needles, reducing the contractions of facial muscles so your skin looks smoother and more relaxed. Younger skin is naturally plumper due to the production of collagen. Unfortunately this production slows with age and as a result deeper lines and skin folds can develop. Dermal fillers help restore the skin’s plumpness and its ability to retain moisture, and are ideal for helping to reduce the appearance of deeper and more well-established wrinkles. Will I Look Natural after Treatment? There is no need to worry your features will look frozen or unnatural as this is one of the advantages of visiting an experienced cosmetic dentist like Dr Poulos. He can use minimal amounts of muscle relaxing injections and fillers to get great results. His detailed knowledge of facial anatomy allows him to use products where they will have the greatest effect, so you will look your best. Our cosmetic injectables are great as a standalone treatment, or can be used to provide that perfect finishing touch to cosmetic dental treatments. Contact our friendly dental team to find out how they could help you.